After a 4 year hiatus, Sha Stimuli returns to the music industry with a new outlook on life and more energized than ever. Sha is putting finishing touches on his new album, Lazarus, expected to be released this winter through newly formed 10 Minutes Late Records, LLC. 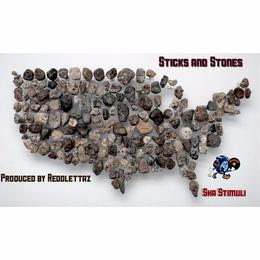 To commemorate his recent signing, he lets the public get a glimpse of what’s to come with his new non-album track produced by Reddlettaz, “Sticks and Stones”.